Over the years, researchers have come up with many ways to battle tumors. Cancer is a disease that is growing rapidly but its cures aren’t increasing at the same rate. Many cures have been unsuccessful and scientists are constantly trying to come up with ways to either reduce the spread of the disease or to eradicate it altogether. 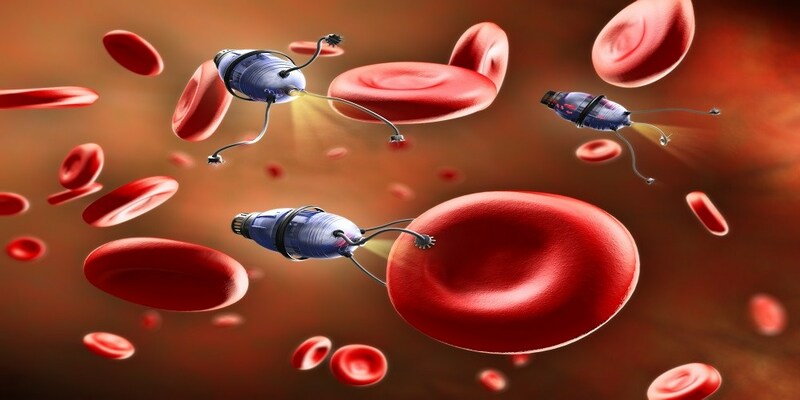 Researchers have come up with something very different in the form of nanorobots. They just managed to create a technology that is straight out of Star Trek or Black Mirror (honestly, it depends on your view). This technology is basically nanorobots that can help in curing cancerous tumors . Scientists at the Arizona State University, in collaboration with researchers from NCNST (National Center for Nanoscience and Technology) of the Chinese Academy of Sciences have successfully create cancer fight nanorobots. These robots are programmed to shrink the tumor by cutting off the blood supply. Under the leadership of Hao Yan, a specialist in DNA origami, the team designed and built nanorobots that would find the cancerous tumors and destroy them without harming the healthy cells. Apparently the team had started working on this project 5 years ago and have continued to do so since then. Initially they wanted to use DNA based nanocarriers who would cut off the blood supply but with Yan’s skills they were able to create “a fully programmable robotic system, able to perform its mission entirely on its own.” This technology might be the next big thing in the world of medicine. The technology was tested and it performed successfully against breast cancer, melanoma, ovarian, and lung cancer mouse models. The researchers believe that the tech will be successful in other cases as well, as the tumor-feeding blood vessels are more or less the same. You can read up more about this study in the journal Nature Biotechnology.